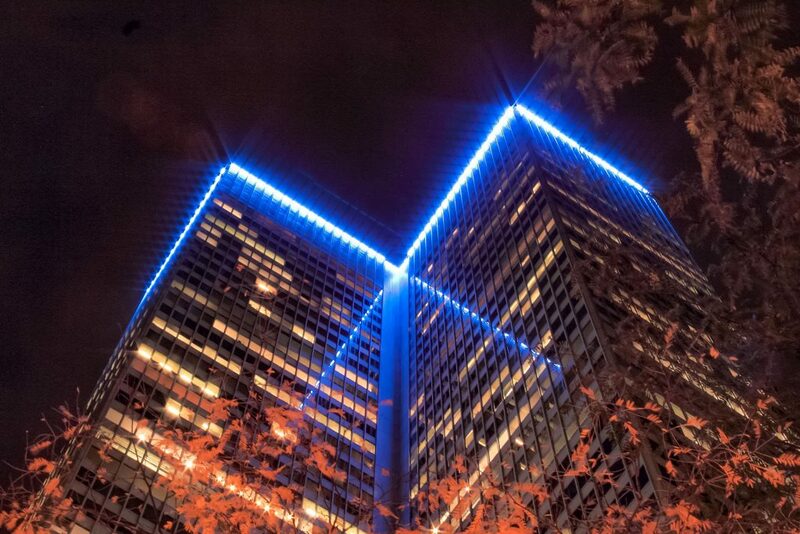 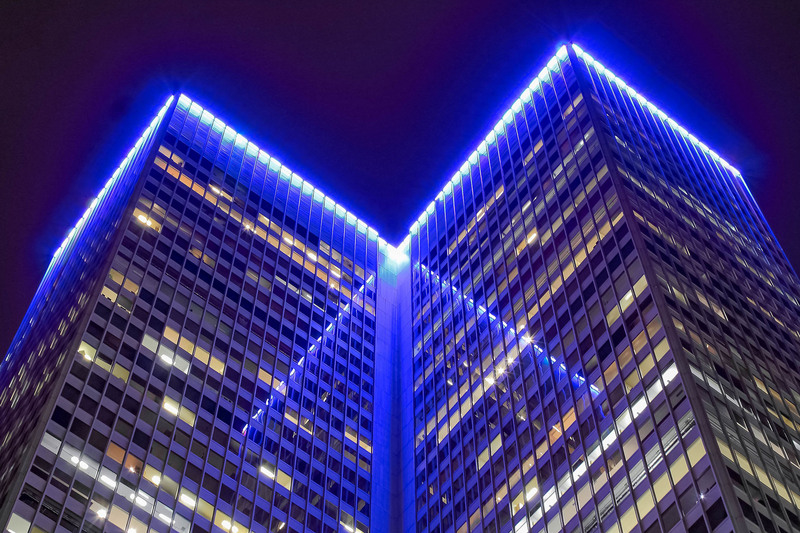 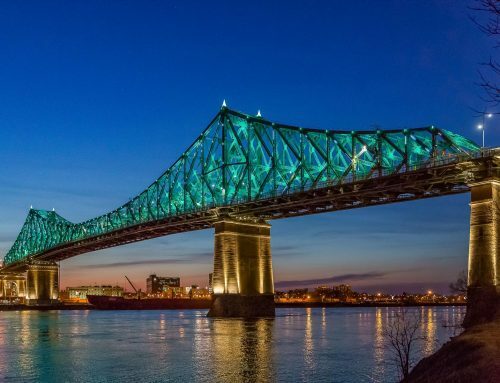 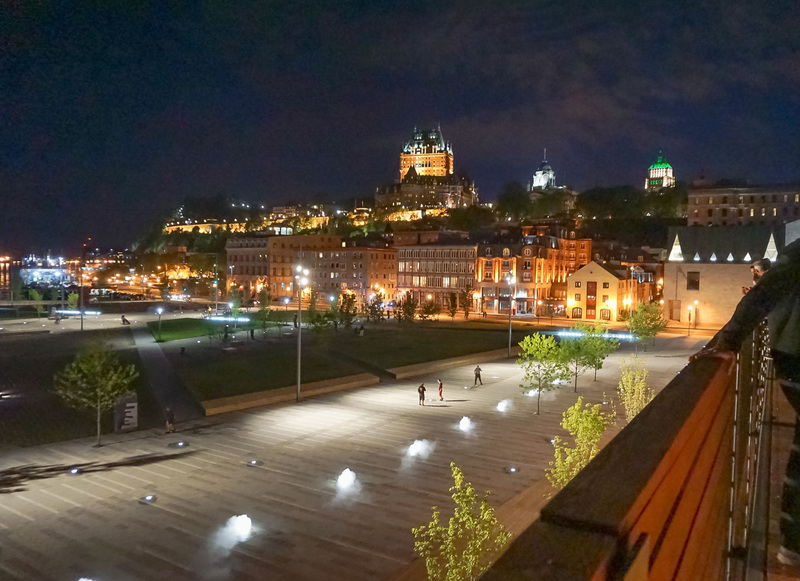 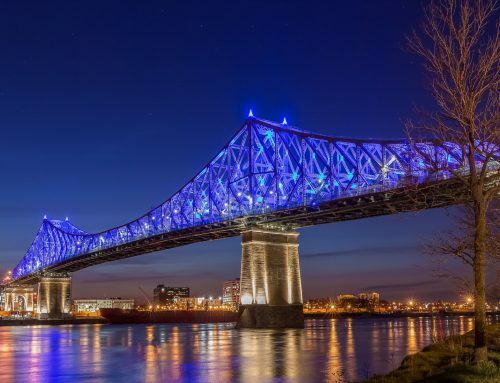 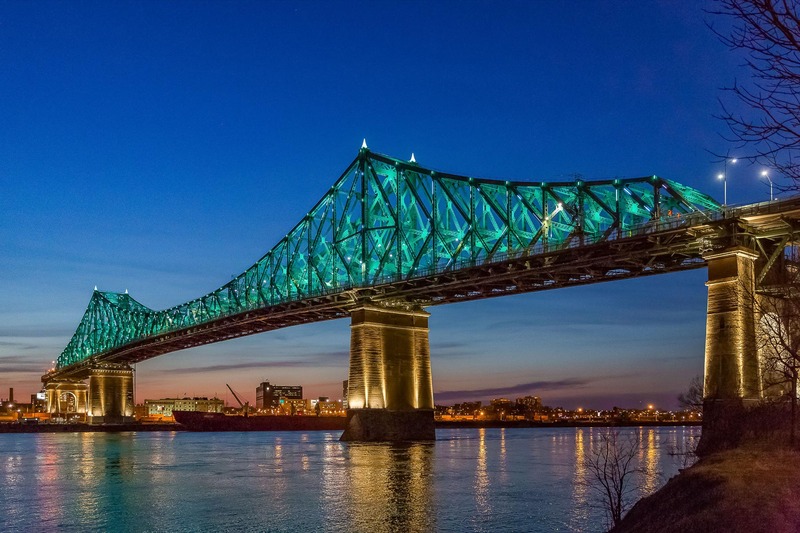 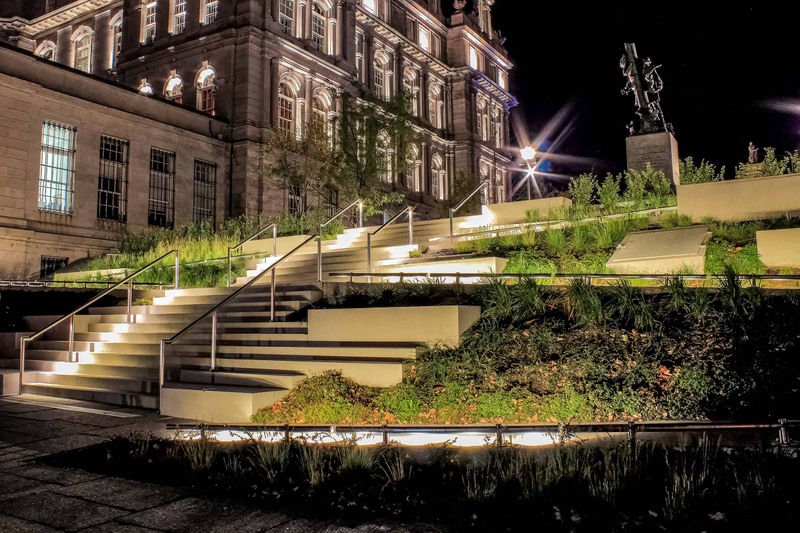 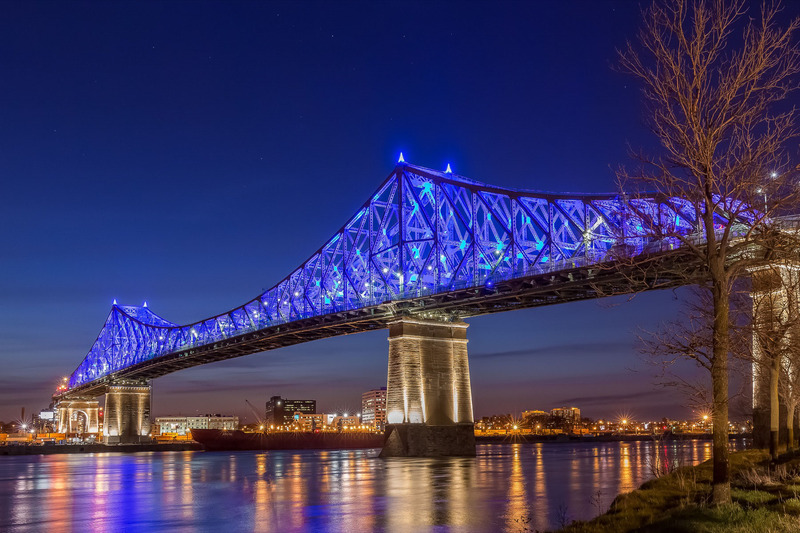 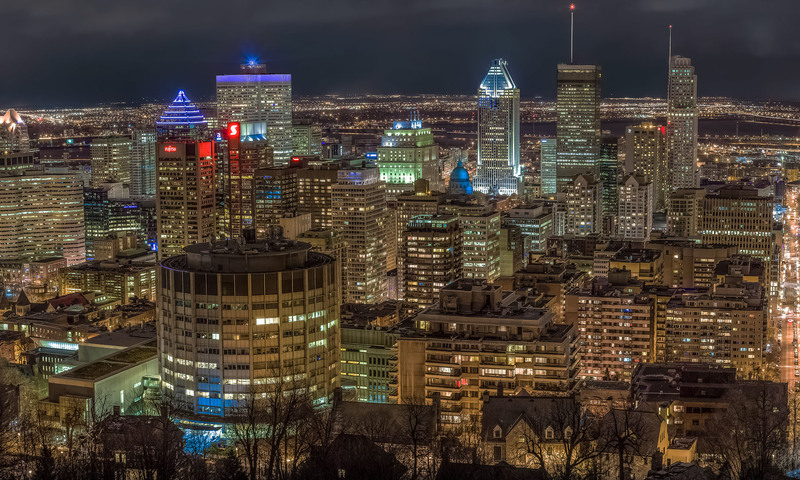 Conceived by the famous architects I.M.Pei and Henry N.Cobb, the Place Ville-Marie is a Montreal icon distinguishable by its cross shape and its rotating light beacon. 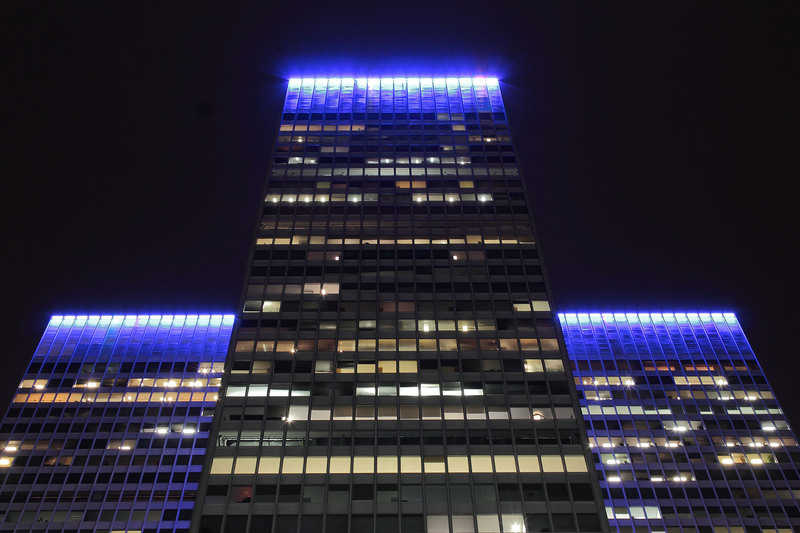 From a panoramic point of view the illumination of the top reveals the skyscraper dominating the landscape. 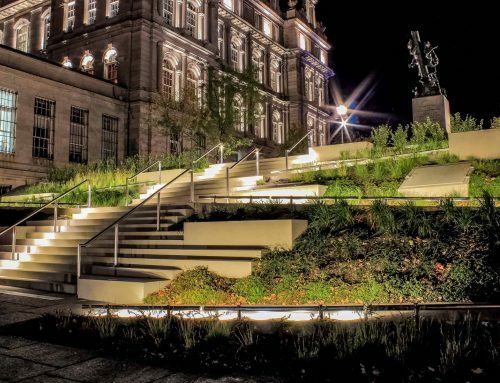 From the ground level the illumination of the soffits extends downward to create an intimate atmosphere on the landscape level.